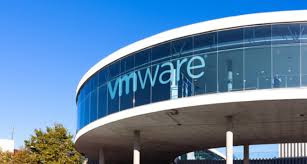 VMware, Inc., a global leader in cloud infrastructure and business mobility, sees growth in adoption of its digital workspace solutions by Indian organizations. With more than 1 million end-points managed in India, VMware saw some notable customer wins including – Max Life Insurance, MSC Software, Malayala Manorama, Karunya University, among others. VMware is one of the industry leaders in delivering a secure digital workspace which gives IT a more efficient, simplified way of managing users, devices and applications. The average return on investment for digital workspace expenditures is 150 percent. In 2016, VMware surveyed more than 1,200 IT decision makers, IT influencers, and business decision makers worldwide and found 78 percent have successfully executed or are actively executing mobile initiatives and are moving to a digital workspace. Digital workspaces deliver better security, reduce IT management costs and complexity, and prevent data loss. “Enterprise mobility is witnessing a paradigm shift towards consolidation of enterprise systems that seamlessly enable not just multi-platform devices and apps, but also emerging connected devices such as wearables, IoT, machine learning and virtual reality systems. Proliferation of mobile endpoints has compelled businesses to address threat management with automated and adaptive defence mechanisms while simultaneously driving richer user experience. This year will see a change in how businesses approach mobility, from a device-focused approach to a more comprehensive strategy. To ensure the long-term success of enterprise mobile strategy, many organizations are implementing ‘Mobile Center of Excellence’ where multiple stakeholders having IT and business expertise are collaborating to reshape business models, maximize corporate performance and derive business value,” said Benoy CS, Director, Digital Transformation (ICT) Practice, Frost n Sullivan. “India represents a complex and competitive life insurance market. Technology plays a critical role in partnering with business and gives us a competitive edge in the market. Business Mobility is one key area where we are focusing on to enable our workforce to work more efficiently in servicing our growing customer base better. We’re working closely with VMware to help us with the end user computing strategy to empower our employees, while keeping our confidential information secure,” said Ekhlaque Bari, Executive Vice President & Head IT, Max Life Insurance. “Delivering critical news as it happens is the advantage you have over competition in the publishing industry. Thanks to VMware AirWatch, our reporters can break news live from the field, much to our readers’ delight,” said VV Jacob, General Manager, Systems, Malayala Manorama. Building on the digital workspace innovations to accelerate its adoption, VMware recently introduced new updates to its award winning Workspace ONE solution. These updates make it easy for IT to deliver unified access and single sign-on experience to Intranet applications, and will offer richer conditional access capabilities that combine real-time security hygiene with compliance automation. Updates to the market-leading AirWatch Unified Endpoint Management portfolio have enhanced support across OS platforms for mobile (iOS, Android), desktop (Windows 10, macOS), purpose-built (ruggedized) and IoT endpoints to simplify provisioning and end-user onboarding.